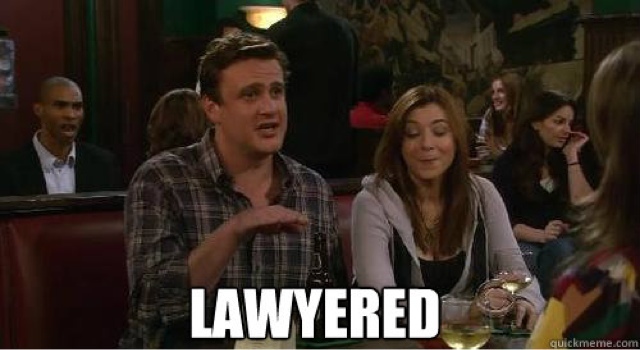 Home > HIMYM, lawyers, Social Networking and the WWW > You've Been Lawyered! 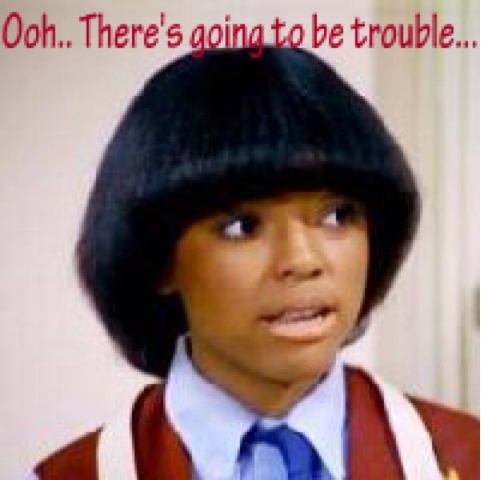 This afternoon, I received an e-mail from a collections agency, containing a PDF of a delinquent account settlement offer. The offer wasn't for me and wasn't related to one of my accounts. The e-mail and letter were addressed to a woman with the same last name as me and a first name starting with the same letter, but otherwise wasn't anywhere close to my name. I assume this company found my e-mail address by randomly sending e-mails to any vague Gmail account with the last name, which looked like it might be hers. Or, perhaps, her original creditor had her correct e-mail address but left off numbers or other identifying characteristics when transferring this information to the collections agency. This is not the first time I've received e-mail intended for another C. [Last Name]. In fact, I am now connected on LinkedIn with another person who has the same first initial and last name as me, because I was getting so much of his e-mail, that I finally had to do some Google searching until I found a valid e-mail address for him and implored him to please remember to add the "70" when entering his e-mail address on forms, because I was really tired of getting his magazine subscription info, house listing updates [he is a realtor, which is how I found him], and lunch invites from friends. The whole mix up was pretty funny, and it's kind of an odd way to meet someone with an overlapping industry and possibly distant cousin relationship [he certainly looks like enough of my family members for it to be possible]--even though it was really annoying at first. I haven't had as much luck with the other C. [Last Name]s who have accidentally (or on purpose?) directed their e-mails to me. There is one woman in particular, who apparently lives in California, who especially irks me in this regard. I suspect she just doesn't actually know her e-mail address. From all of the correspondence I have received for her--from AARP, from Match.com (that was the worst!!! ), from friends from her former church, from the volunteer center when she apparently worked on Hillary Clinton's local campaign efforts in 2008, from the... iCan't...--I know she's a woman in her early 60s, so I'm guessing she's just not 100% caught up on her technology? [my parents, for example, can read and post on Facebook, but ask them to change their security settings or even their names, and you get blank stares] I actually now know a lot about this woman, but have yet to find enough to track her down to tell her to Stop. Giving. Out. My. E-mail. Address. I've actually responded very sweetly to the people who actually seem to know her (including the Clinton campaign) and asked them to pass the message along. Some of them have even confirmed that they have. However, she continues to give out my e-mail address, and every three months or so, I get a new e-mail directed intended for Constance from California [stop it girl, stop it!]. This isn't [NAME REDACTED]. I don't even know anyone by that name. Heck, I don't know anyone who lives in [LOCALE REDATED]. I would suggest that you try her at whatever address and phone number you have on file. I will delete the correspondence so as to not be held legally liable for retaining any of her private information, and I'm sure you would not want to be held in violation of any consumer privacy laws. In the future, you may want to password protect such e-mails with identifiable account information with the last four digits of the person's social security number.... << This is just a suggestion and should not constitute or be construed to constitute legal advice. A minute or so after sending the e-mail, it dawned on me—Daaaaaaaamn. I am such a lawyer. EDITOR'S NOTE: The collection agency actually responded thanking me. Apparently the agent filled in the wrong e-mail address. They just send anything to anyone these days. I've received requests for interviews from a major news network for a guy with my same first initial and same last name. If I get one again, I'm going to reply with my CV. I'd love to work for them.